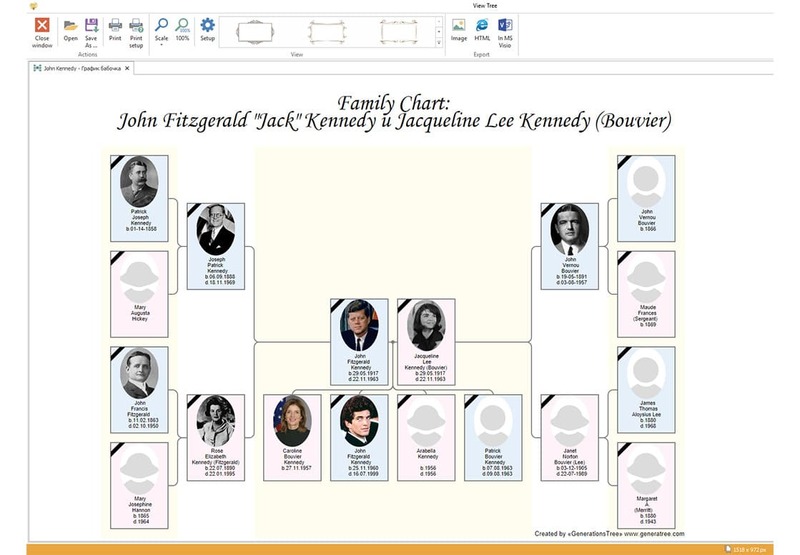 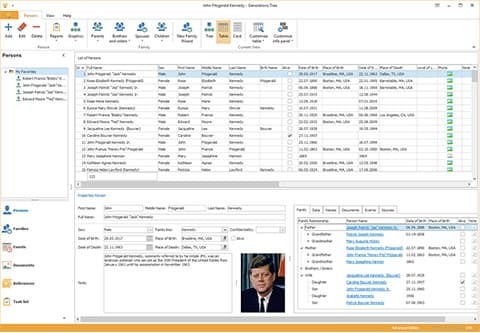 Storage of information about families, family members, and events in the life of a family. 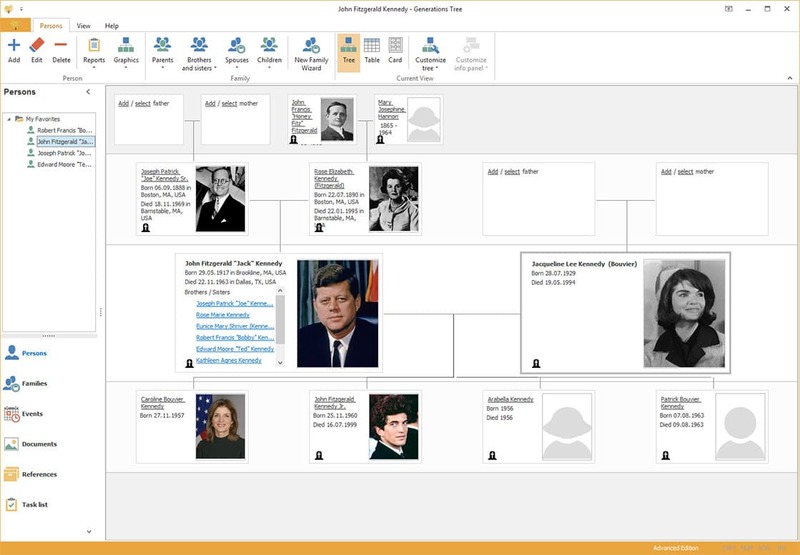 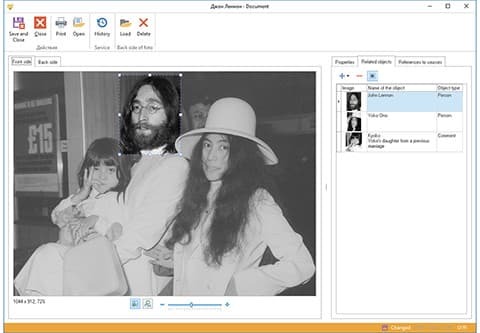 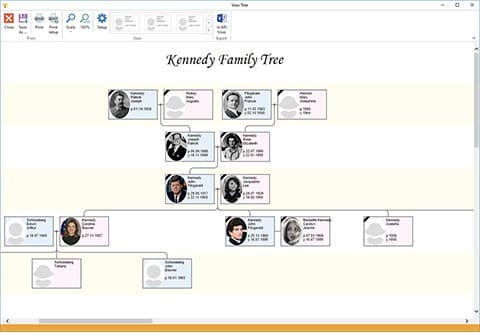 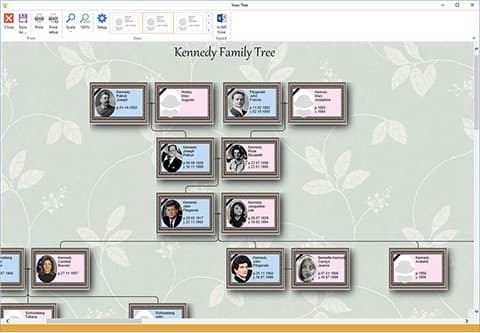 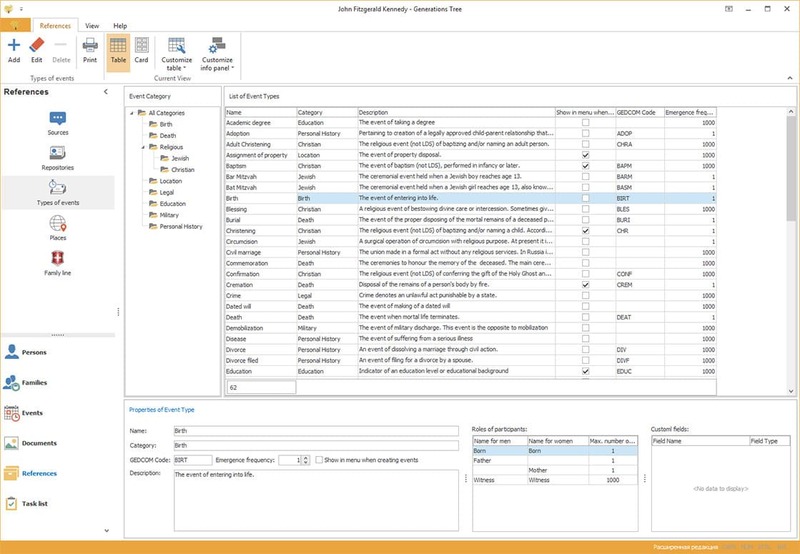 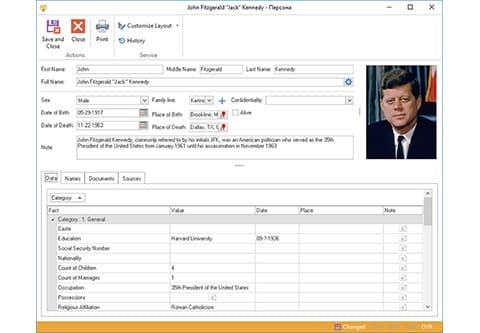 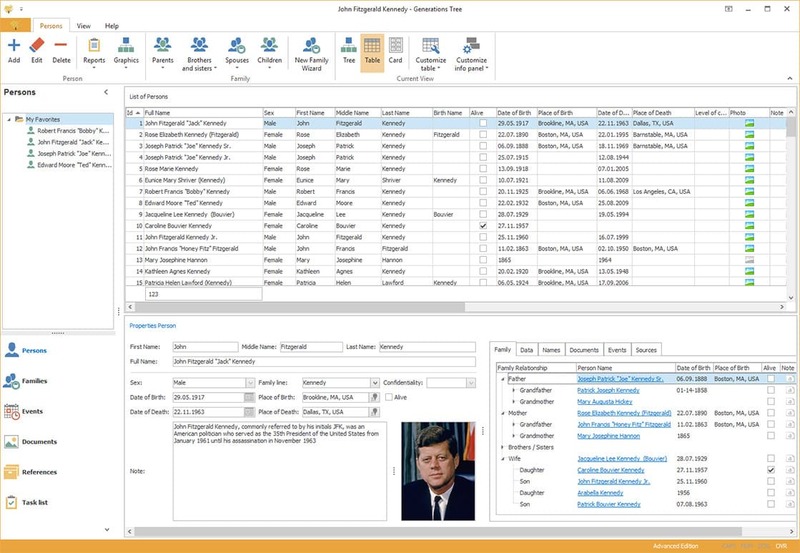 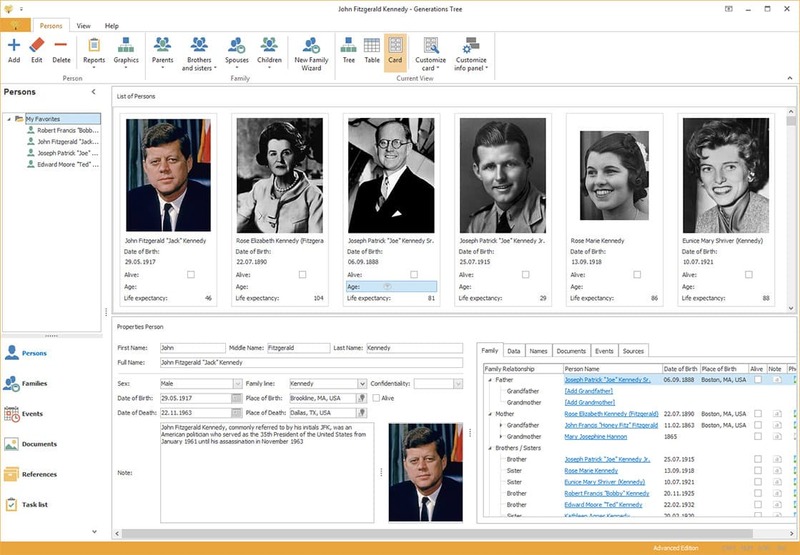 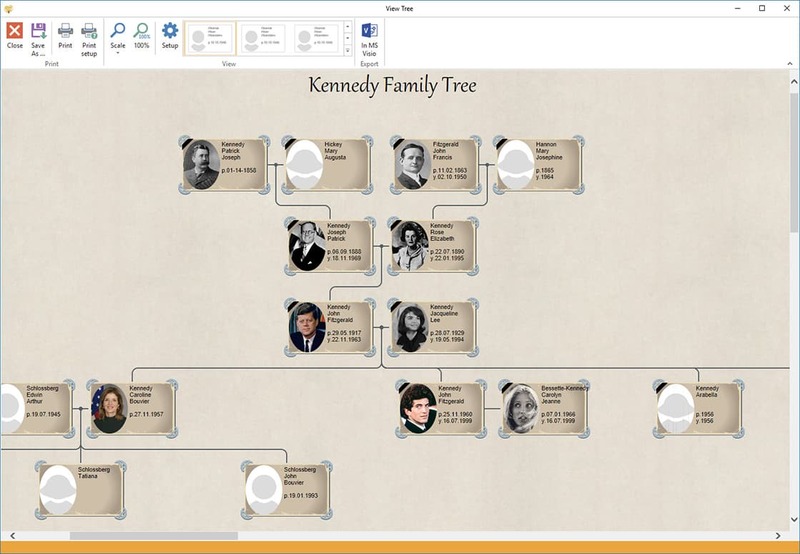 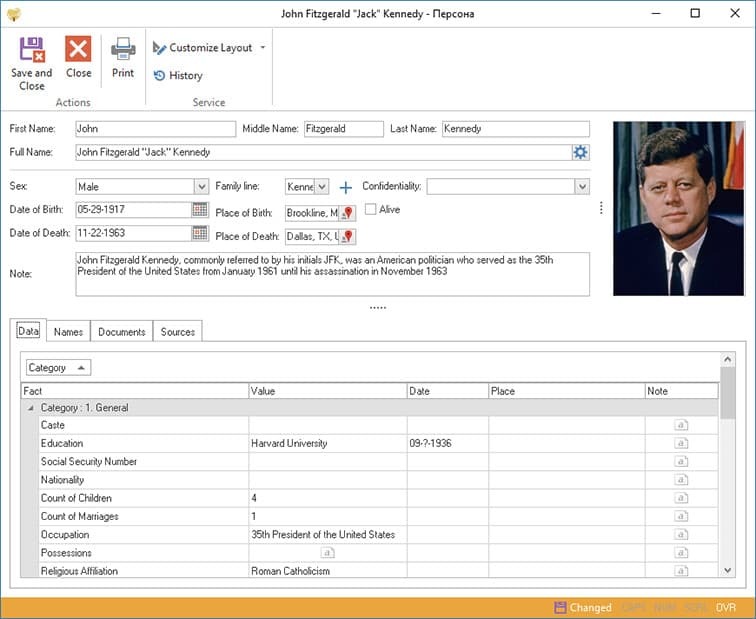 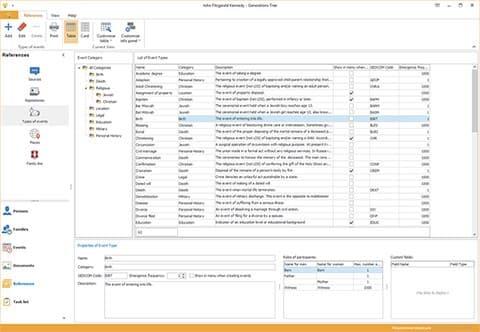 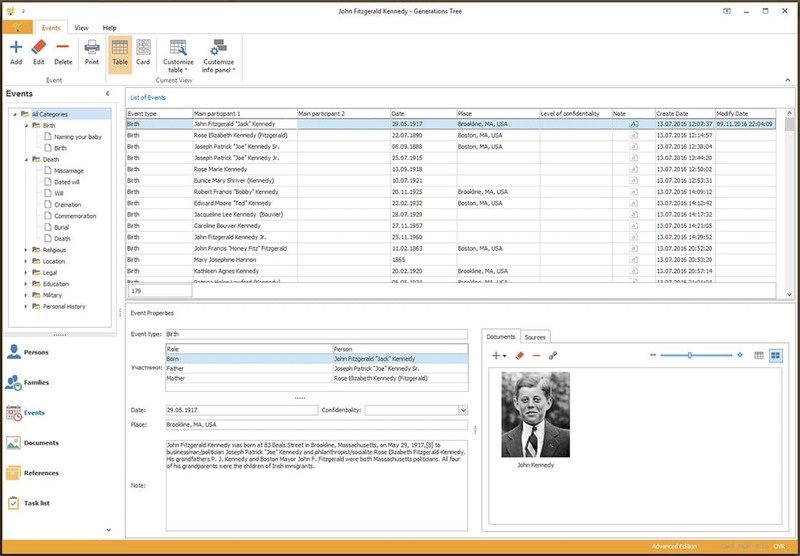 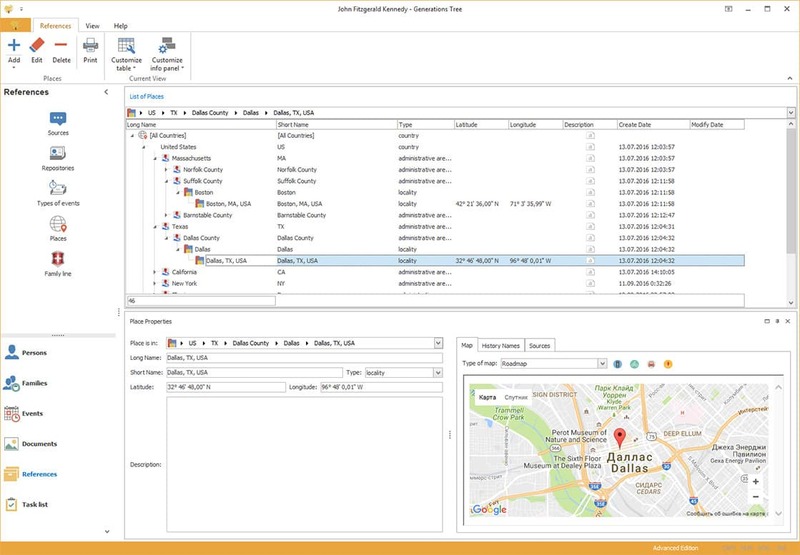 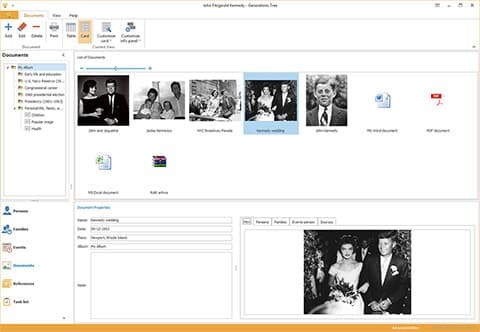 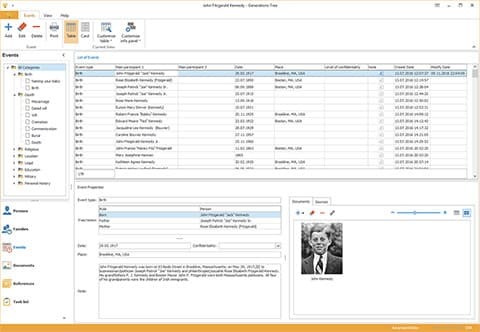 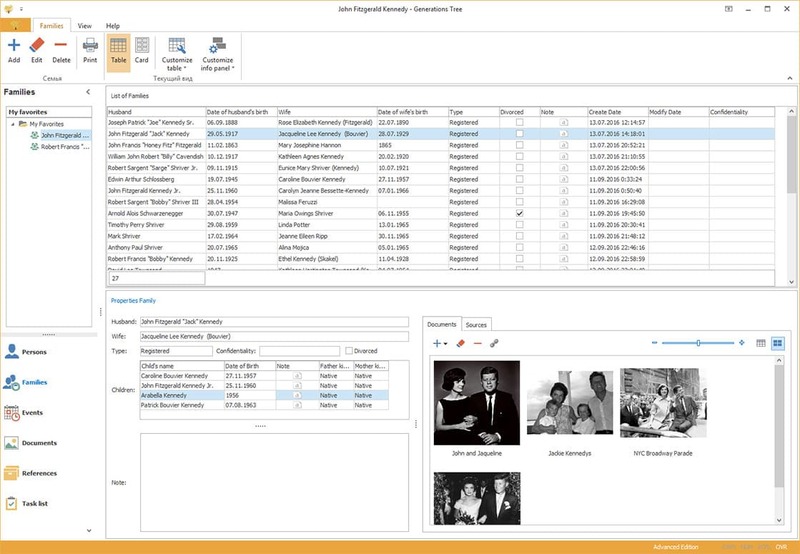 Below are screenshots of the Generations Tree software. Select the desired screenshot and click the magnifying glass icon to magnify. 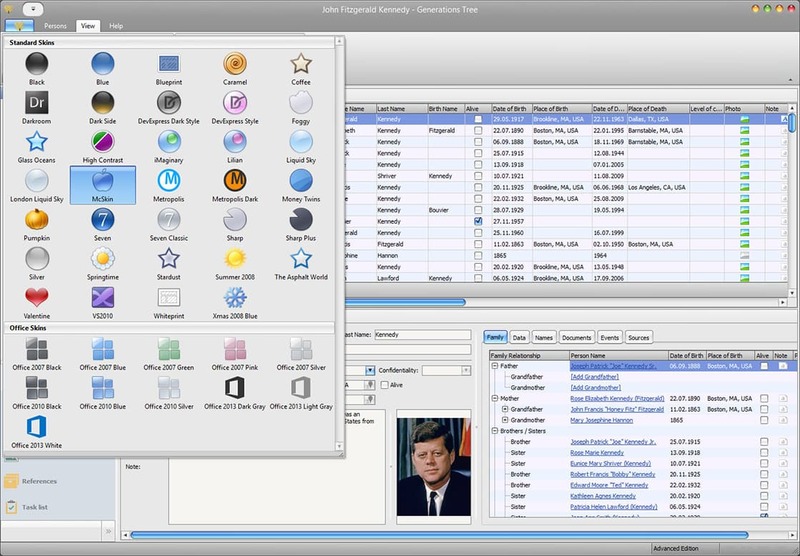 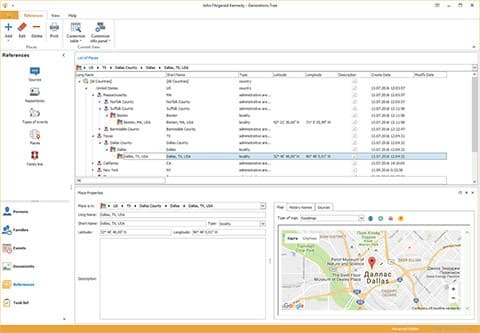 For detailed information about the main components of the program, go to the section "Software Features".